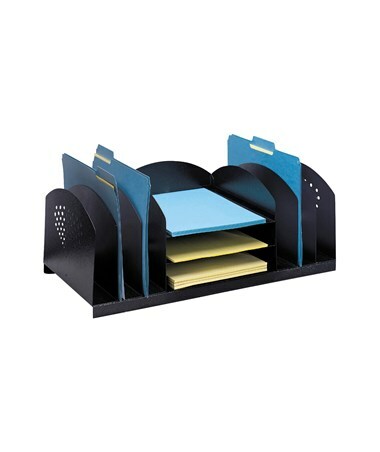 The Safco Upright and Horizontal Combination Desk Rack is a file and document sorter that has both vertical and horizontal compartments and fits perfectly on tabletops to save desk space. 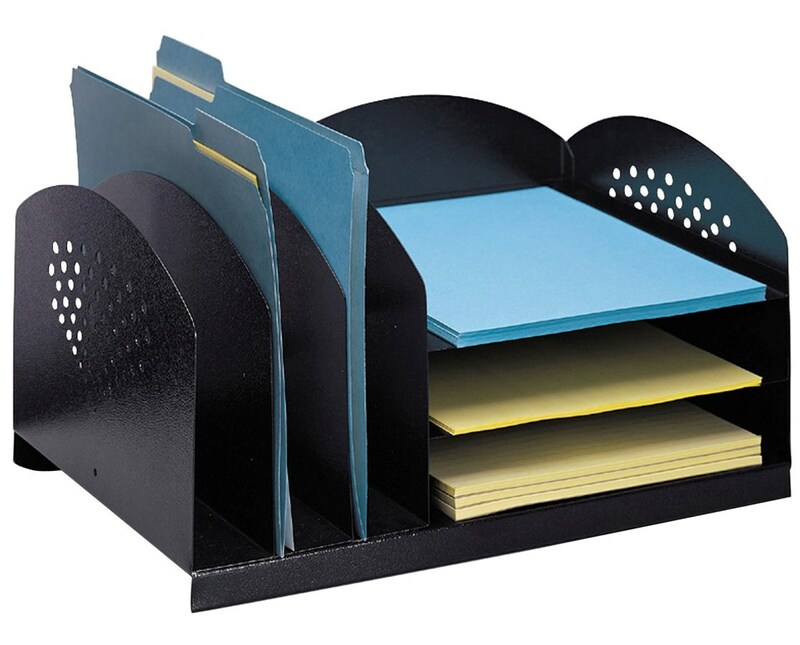 The horizontal trays can fit letter-size paper, while the upright compartments can hold folders and larger files. The end panels have decorative holes for a stylish look. Rubber feet are also included to prevent slipping and to protect surfaces from damages. 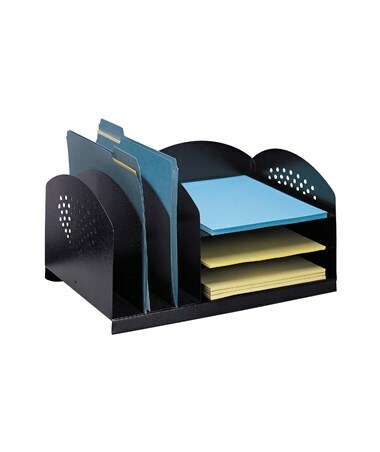 This desk file organizer is made of 17 gauge steel with a powder coat finish for durability and mar resistance. It is GREENGUARD certified for low chemical emissions. 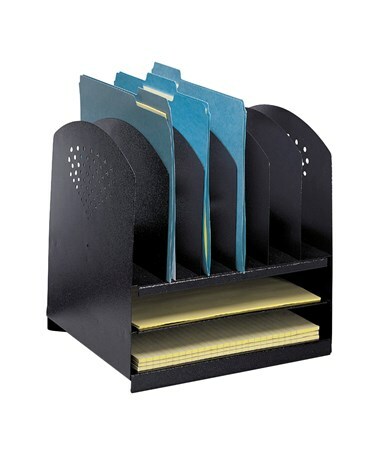 The Safco Upright and Horizontal Combination Desk Rack is available in a different number of compartments. Please select your preference from the drop-down menu above.